Inner-film and bubble, Outer-strong carton/plywood; As per your reuqired. 1. 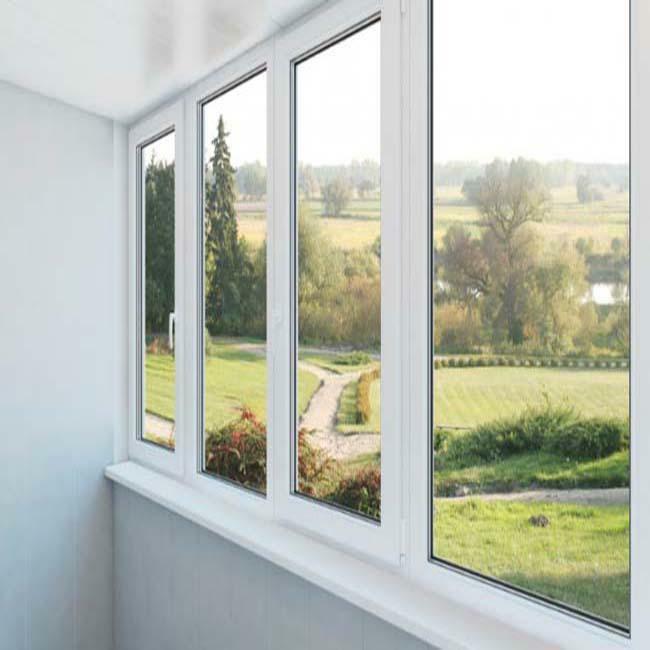 Product Name: Aluminum Alloy Casement Window. 3. Australian Standard Series: 55/65/75/80/100/120 Series. 4. Glass: Tempered glass/ Laminated glass/ Low-e glass/ Insulated glass. 6. Hardware: China Top Brand, Germany brand. 1. 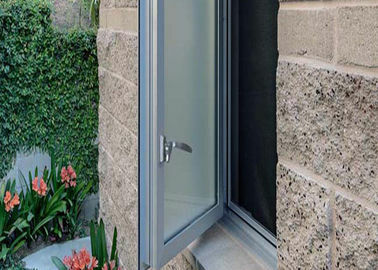 Sound insulation---windows and door are dedicatedly designed and selected, their sealing property is several times higher than that of original windows and doors. They can insulate above 30DB noise outside the windows. 2. 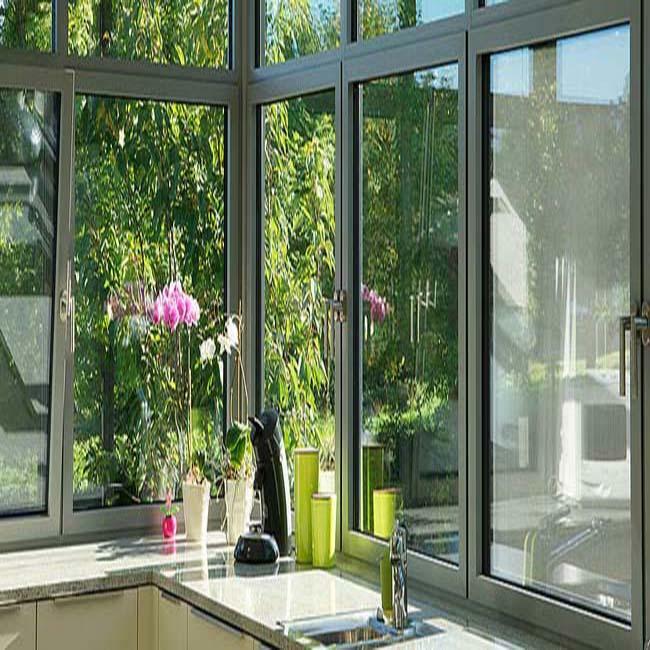 Wind proof---strong firmness is ensured by super thick profile and refined three dimensional structural shape design and fixing them with screw on the frames of windows and doors. 3. Watertight and Airtight---imported adhesive tape is used and can be resist aging for over 10 years, the air tightness is less than0.5M/M.H, and the water tightness is more than 350PA, therefore, it can prevent gale and rainstorm from against the air windows. 4. Opening and closing the pulley rail features extremely low friction coefficient, it is easy and smooth to open and close without noise. 5. Water proof---the frames of windows and doors adopt three-cavity design and feature strong rigidity, the independent drain cavity can ensure the smooth drainage in any case. PRIMA is your One Stop Shop for all of your building materials. We offer various types of stairs ,Balustrade, flooring, Window& Door, bathroom accessories at competitive price.We have been in the building materials business for many years , our reputation result from our past well feedback finished projects over the 35 countries ,For example :The USA , Canada , Australia , Mauritius ,Ghana , Kenya , Thailand , Caribbean Countries and Europe Countries . QUALITY – We pride ourselves on delivering a first class result each and every time. Being entrusted with over 35 countries’ projects . RELIABILITY – With our ‘Turn-up Guarantee’ you can rest assured we will be there when we say we will. So your project will be completed on time. We won’t leave you waiting. ONE-STOP-SHOP – We provide complete project management from projects tender to form offer. We have a special projects team service for your projects , Including the home design and products Shop Drawing . All of our efforts are in order to help you save time and money.